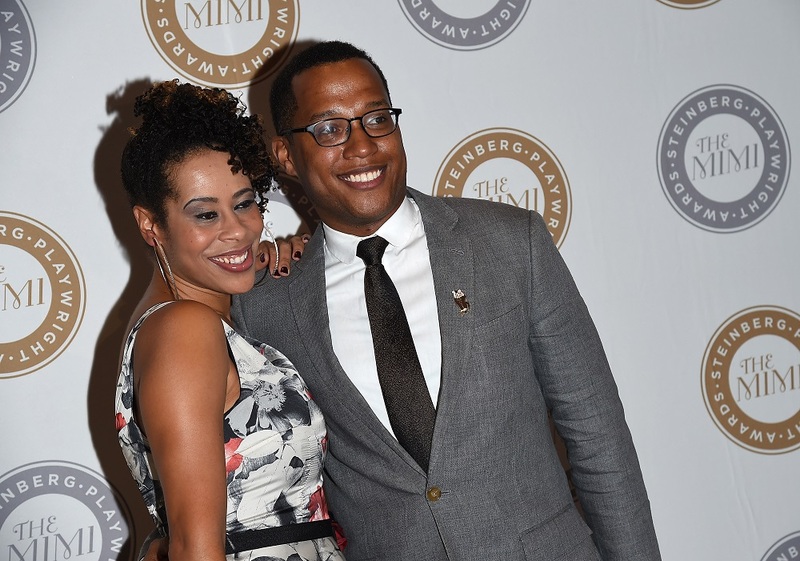 Playwrights Dominique Morisseau and Branden Jacobs-Jenkins were honored at the 2015 Steinberg Playwright Awards held at Lincoln Center Theater in New York City. The Steinberg Playwright Awards are presented biennially to playwrights in early and middle stages of their careers who have distinctive and compelling voices and whose current bodies of work exhibit exceptional talent and artistic excellence. Jacobs-Jenkins stuns audiences with laughter, intrigue and thought compelling plots that poke at race, class and culture in plays such as Appropriate, Neighbors, War and Octoroon. Ms. Morisseau’s plays provide an equal literary and emotional landscape and they include: Skeleton Crew, Detroit ’67, Paradise Blue and Blood At The Root. In attendance at the Steinberg Playwright Awards were past award recipients Rajiv Joseph and Lisa D’Amour; 2015 Steinberg Playwright Awards Advisory Committee members Jeremy Cohen, Kwame Kwei-Armah, Neil Pepe, Bill Rauch and Chay Yew; as well as Laura Osnes, Celia Keenan-Bolger, John Ellison Conlee, Michael Urie, Sarah Stiles, Geneva Carr, Wesley Taylor, Montego Glover, Lynda Gravatt, Mara Davi, Ashley Park, Stephen Henderson and many more.